Let’s face it, phone and car batteries die more often than we would like. 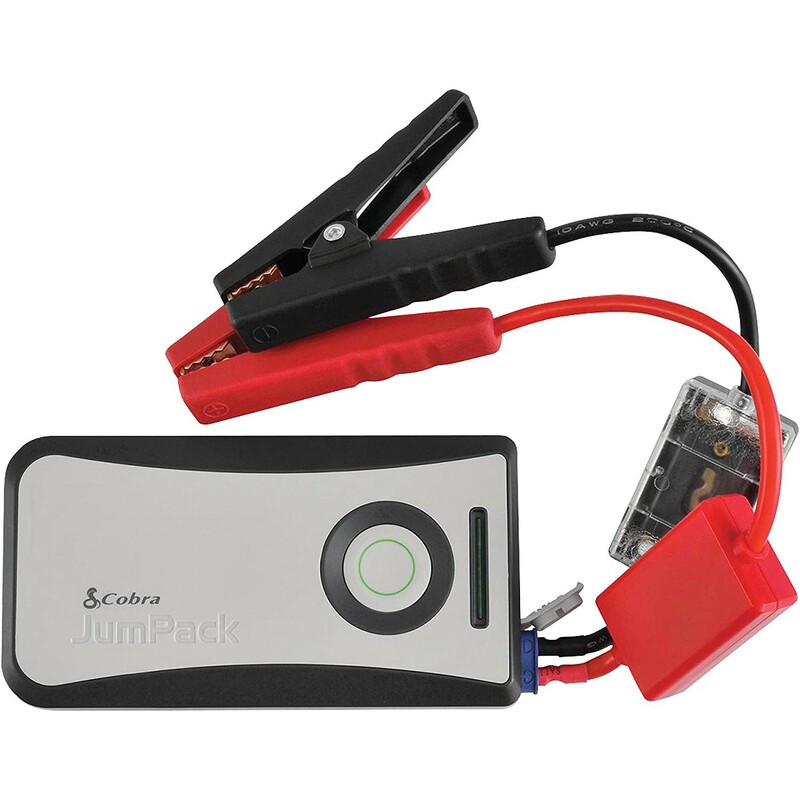 You can power up both now with the newest Cobra JumPackTM CPP 8000. 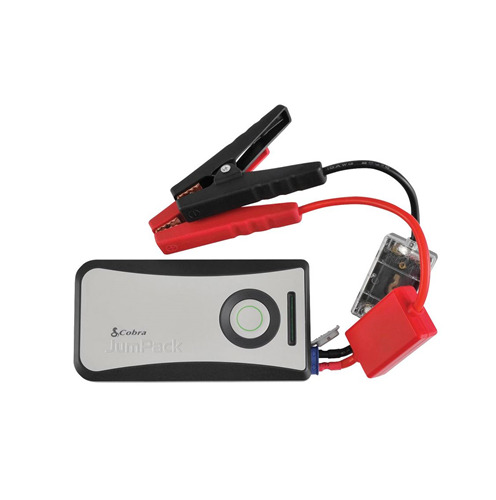 Small enough to carry it with you anywhere you go, easily stowing it away in a handbag, briefcase, or even a pocket and weighing in at just under 10 ounces, it is one of the most compact and portable power packs while offering dual capabilities of mobile-device charging and vehicle jumpstarting, including a range of cars, SUVs, motorcycles, outboard boat engines, etc. multiple times. 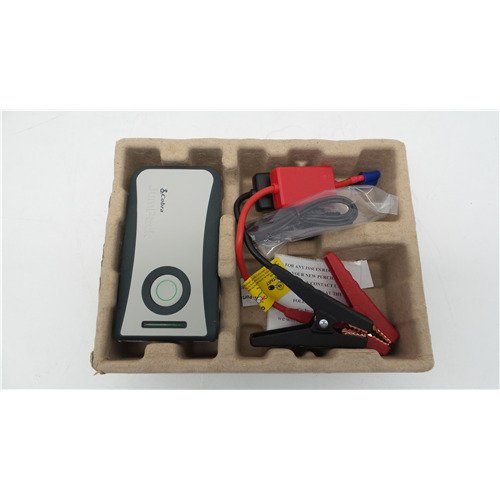 This refurbished jump pack is tested to work and appear as new, with limited to no signs of use. 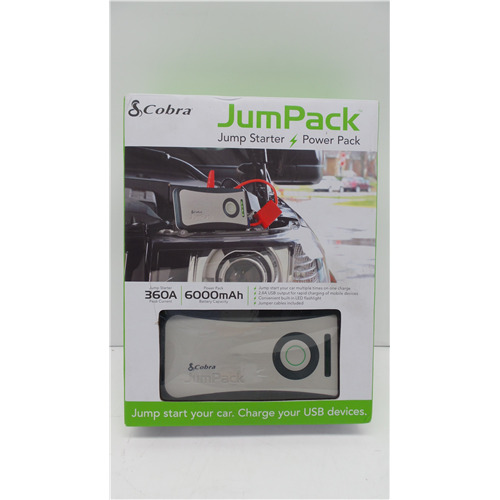 This jump pack will include all original accessories and will have a 90-day warranty.